Below are some photos of Frigault Family ancestors and descendants ... more will be added in the near future. Please let us know if you see any family resemblance or remember someone from your childhood! The man in this photo may be the father of Joseph Frigault, who was born 26 May 1914 and died 21 January 1956 in Quebec, Quebec, Canada. Written on the photo is "M. Frigault." I am writing to find out if it would be possible to post a picture of someone I believe to be my great-grandfather. We came across the photo a few weeks ago after my father died. None of his siblings know who the man in the photo is. Probably the only person who knew was my father. 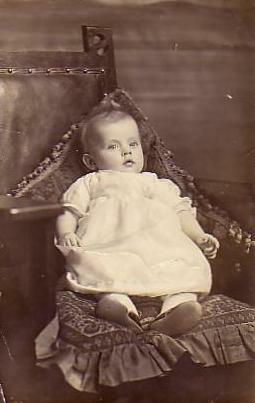 As we have a lot of distant relatives in our family tree, I was hoping to be able to post this picture to see if any other Frigaults or relatives of Frigaults know who this person is. I understand you may receive many such requests, and will understand if you are not able to help me, but thank you in advance for your time. 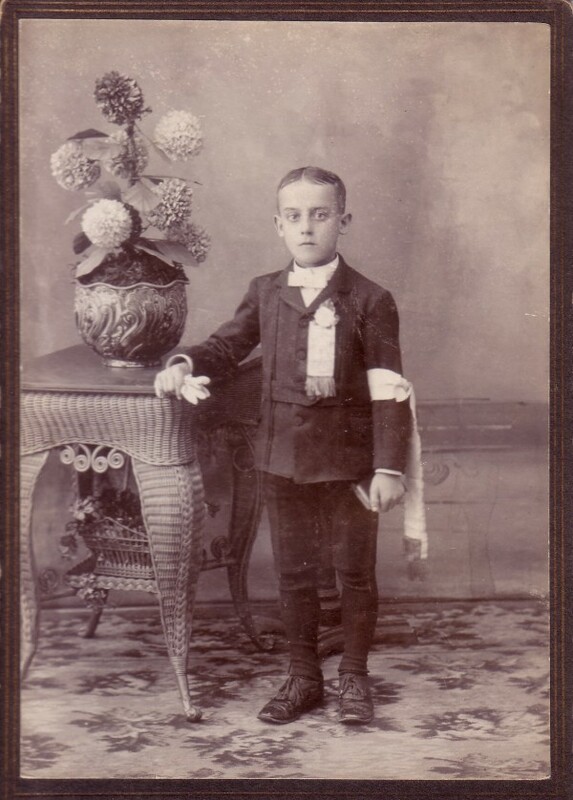 I found this picture of my grandfather, Alfred Frégault. 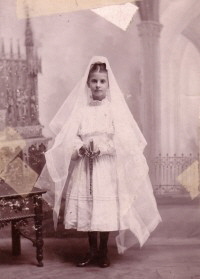 It's dated May 11, 1905 and was taken at his First Communion. He is André Frégault's father (my dad). He was born in Montreal, Quebec and was married to Lydia Ouellette. 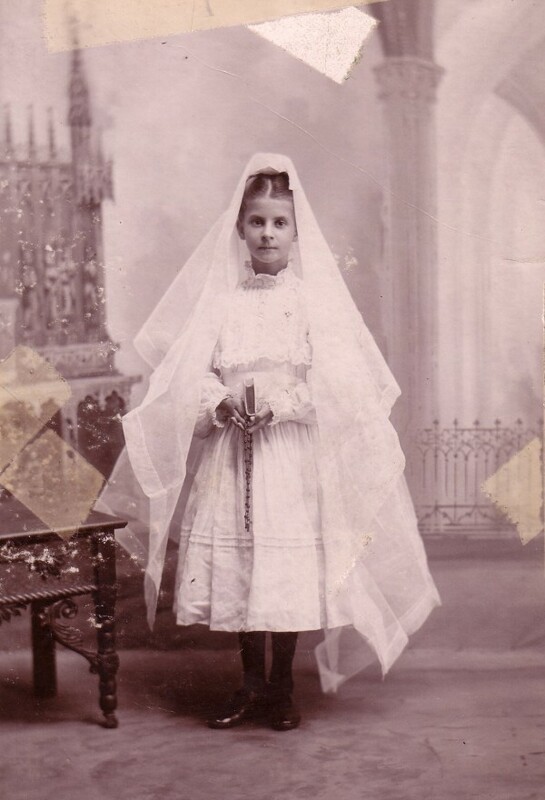 Here's a picture of my grandmother, Lydia Ouellette Frégault, wife of Alfred Frégault, on her First Communion day, in Montreal, Quebec. Dated 1905. 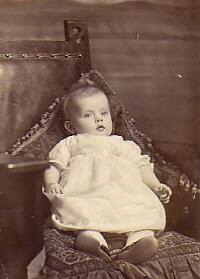 This is a picture of my dad's sister, Madeleine Frégault. It's dated 1918.